The Ghana Cocoa Board (COCOBOD) is meeting stakeholders in the country's cocoa sector to finalise the new cocoa sector development strategy (CSDS) II document. Joseph Boahene Aidoo, Chief Executive Officer (CEO) of COCOBOD, in a welcome address, said the strategic plan for the country's cocoa industry is crucial, especially at a time when stakeholders are confronted with climate change and variability, ageing cocoa farms and dwindling terminal price of cocoa. The new strategy document, he said, would create a modernized, resilient and competitive cocoa environment. According to him, the CSDS II document is expected to raise the current productivity level from 500 kilogrammes per hectare to an average of 1,000 kilogrammes per hectares by 2027. It would also focus on promoting local cocoa consumption and inculcating cocoa into diets, as COCOBOD partners the private sector to embark on a sustained nationwide campaign aimed at creating awareness on the importance of cocoa consumption. Additionally, it would facilitate the inclusion of cocoa products into the School Feeding Programme and other national programmes. Commenting on the CSDS I and how it fared, Mr. Boahene Aidoo said, “I am happy to inform you that the marks were surpassed during the 10-year period, average production during the 10-year period was 594,184 tonnes with a minimum of 389,744 tonnes and a minimum of 740,383 tonnes in 2000/01 and 2005/06 crop years respectively. “At the end of the implementation period, cocoa farmers received at least 70 percent of the net FOB price in addition to the supply of inputs, cocoa export tax reduced to an average of 10 percent annually with a minimum of 5.32 percent and a maximum of 15.21 percent,” he said. 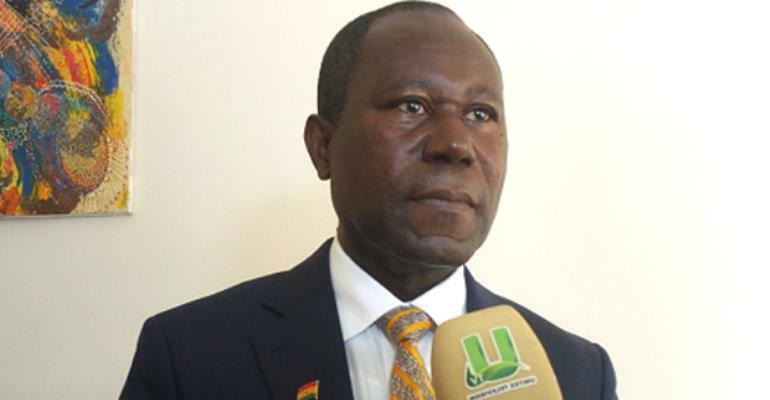 In the absence of a new policy document, he said COCOBOD continued to pursue the objectives that were enshrined in the CSDS, the resultant effect being that the annual cocoa production averaged 874,000 tonnes with a peak of 1,024,000 tonnes in the 2010/11 crop year and a minimum of 740,250 tonnes in the 2014/15 crop season. Also, he said the producer price paid to farmers increased to an average of 75 percent of the net FOB price while the cocoa export tax reduced to an average of 4.08 percent. Dr. Owusu Afriyie Akoto, Minister of Agriculture, in a speech read on his behalf, said the CSDS II programme outlined the aim of agricultural development to include the promotion of agro-industrial enterprises as the basis for government's 'One District, One Factory' initiative. “This new orientation constitutes the new operational framework for agricultural development, while at the same time safeguarding food adequacy in the short term and food security in the medium to long-term,” he added.